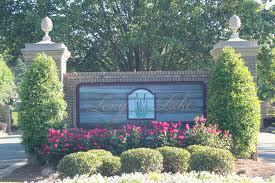 Long Lake Estates is one of the most sought after gated communities in Shreveport. Located near Ellerbe Rd. and Overton Brooks, it has all of the quiet tranquility of upscale suburban life with the conveniences of living in southeast Shreveport. The shimmering lakes and bayous hidden within the beautifully gardened subdivision, sparkle with an inviting charm, and infuse it with a sense of serenity and escape. Most of the homes and estates here have larger, more spacious floor plans and yards, and feature an elegance all their own, and the 24 hour security at the gate ensure that your luxury home will be safe and sound. The advantages to living in southeast Shreveport are numerous indeed. You are minutes from some of the finest schools and hospitals in the region, and minutes from several shopping and dining options such as Windrush Shopping Center, Pierremont Mall, and the Youree Drive corridor. There is a firestation nearby as well, and many of the most traveled roadways are less than a couple miles away, providing quick travel across town. Long Lake is a luxurious escape where waterside living and luxury estates come together in southeast Shreveport.